The next girl invitation for you, free balloon girl birthday party invitation card. This is printable graphic, just click and print. Look at the soft blue color and cute girl. So happy. 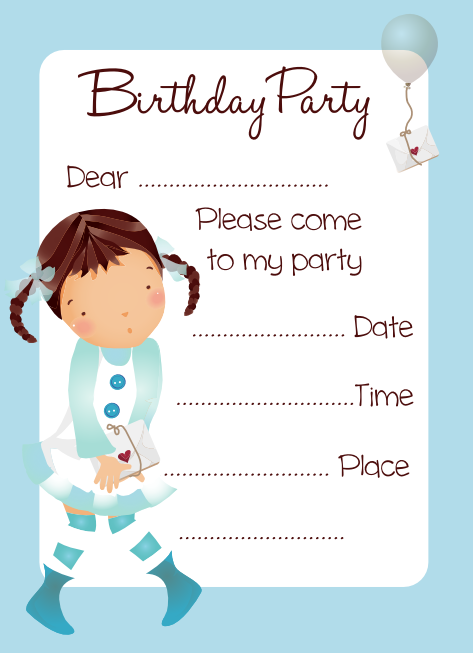 Also get a green girl invitation card.